I’ll bet that 2040 will prove to be a pivotal year in the future of knowledge. But you’ll have to collect on that bet for me. It so happens that 2040 is the year when—according to projections of the downward trajectory of the American news industry—it is believed that the last newspaper could come off the last press. Yes, the last press. Already, what we call printers do more than press ink on paper. They use jets to precisely place matter on matter, producing not just text but also manufactured parts, chocolate, even concrete buildings and perhaps soon human organs. By the time you read this, I hope that knowledge will have broken free of its imprisonment in media to explode in new forms. An author and friend of mine named David Weinberger wrote a book called Too Big to Know in 2012 in which he argued that our very understanding of wisdom will transform. Before Gutenberg, people revered and sought to preserve the knowledge of the ancients of Greece and Rome. After the invention of the press—during what a group of Danish academics call the Gutenberg Parenthesis—we came to honor the work of authors and experts, the people who had access to the press and the authority in conferred. Then, after the passing of the age of the press and the advent of the internet we began to value the knowledge of the network. So I hope you live in the age of networked knowledge, when information and the analysis and understanding of it can flow freely among many people and their machines, building worth as it spreads and gains speed. I hope you live in an age that values these new connections over the old notion of nations and institutions and their artificial boundaries. I hope you will define wisdom as the fruit of connections. 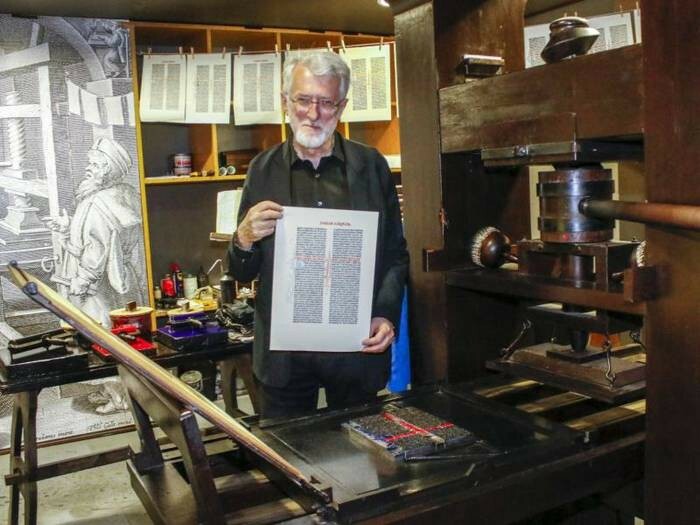 2040 is roughly the 600th anniversary of Gutenberg’s invention. By then his magnificent technological disruption may live on mostly as a memory and an exhibit in the Gutenberg Museum in Mainz. I hope you will visit it there to see where the idea of manufacturing knowledge began and how far it has come.